“Oh ! Lord Krishna, now at this moment let the royal swan of my mind enter the tangled stems of your lotus feet .. Prana-prayana-samaye kapha-vata-pittaih. kanthavarodhana-vidhau smaranam kutas tey. Once a great Acharyar was explaining to his disciples about the King Yayati life in Sri Vishnu Purana . The discussion became more interesting . Two of his disciples asked.. 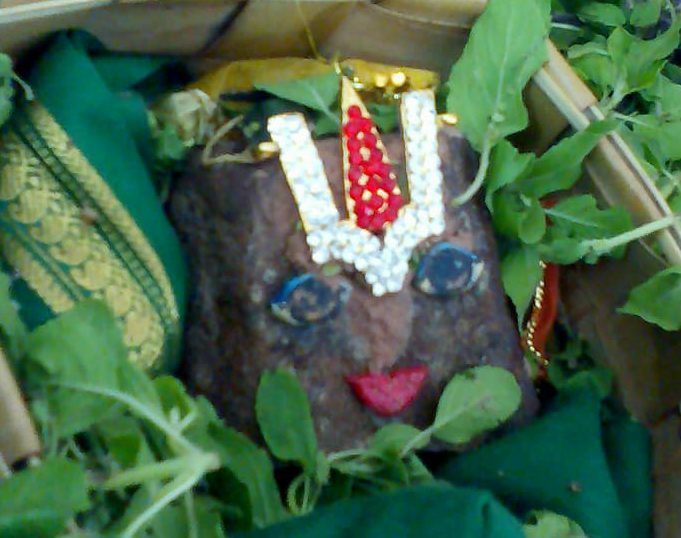 Please tell us the difference between Bhakthi and Prapatti..
which is the best ? whereas Prapatti ( Unconditional surrender ) is the mighty flood of grace pouring down from the All compassionate SUPREME LORD the creator nothing withstanding the rush of the torrent…..
What chief moral lesson needs to be derived from the episode of King Yayati in Sri Vishnu Purana ….. The jiva experiences several pleasures as he is infatuated with many things in his previous births . Unsatisfied he once again takes birth and falls into samsara which is a succession of unfulfilled desires . Under delusion imagining his parents , brothers , sisters , wife , children and grand children would fulfill his desires and give happiness he craves for their long lasting company. However as years pass , the karmas mature and then the realization starts . He faces unlimited sorrows . Even the so called pleasures becomes meaning less as the drops of honey which rests on a mustache . Now this old body has a young mind and a fond heart . .Everyday becomes a week end . This continues and in his old age forgetfulness and then weakness of senses and the body inevitable to accept the calamities . Now the realization begins . He understands that Life in this world is the source of all sorrow. As Thondaradipodi Aazhwar states this life is………………………….. full of “Pini pasi moopu thumbam” (i.e) Disease-hunger-oldage-suffering. He realizes that the five senses are responsible for this suffering. The senses bewitch and hypnotize the jiva dragging it into the samsara . Even the learned men are not spared from the atrocities of the senses and the worldly temptations that arouse which would ultimately lead to the continuous chain of birth and death. “Innamudena thondri oraivar yavaraiyum mayakka”(Thiruvoy. 7-1-7). The peak of sorrow is surrendering to the senses and being tossed about in the samsara sagara repeatedly . Just as for mundane benefits we cultivate the association of influential people who have either money, status or power, so also for acquiring spiritual wealth one has to cultivate the association of spiritually advanced devotees . When a holy association begins , spiritual quest germinates which makes one enthusiastic for bhakti to sprout towards the Supreme Lord . It is the association with the holy that will generate, through the continuous contemplation of My glories, a distaste for sense gratification here and hereafter. For devotees who are attached to devotional service even moksha is not attractive. I am their loved one like their soul, friendly like their son, trusted confidante like their friend, mentor like their guru and respected like their favorite Lord. Their minds are always fixed on me. This is all that is needed for Moksha …. The endpoint of bliss is surrendering to the Lord alone and attaining SriVaikuntam. The Lord like our Mother derives happiness by showering His devotees with His abundant grace. the Lord showers His grace on the souls without expecting anything from the soul in return. The realised jiva now reflects on the various verses of Azhwars and Acharyas . At the time of death,” prana-prayana-samaye kapha-vata-pittaih , “when the physical condition of the body will be in disorder,” kapha, pitta, vayu will not be in order…. Prana-prayana-samaye kapha-vata-pittaih kanthavarodha , “At that time I shall not be able to speak. 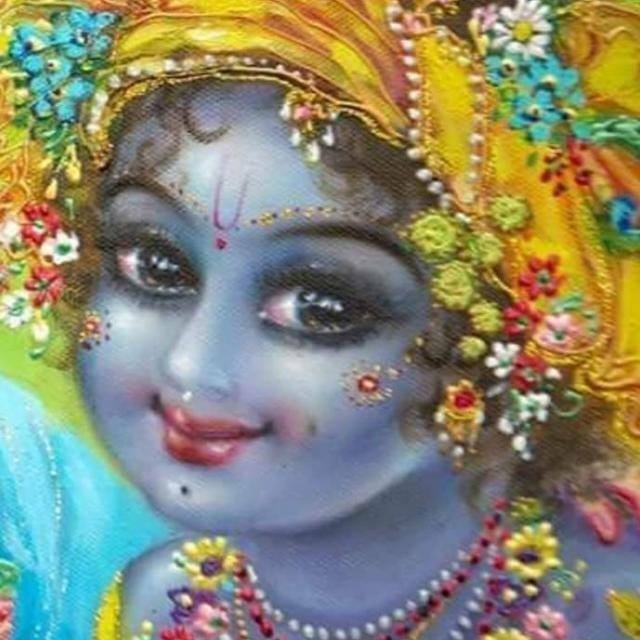 O Krishna, At the time of my death, in the situation when my throat will get choked by phlegm, air and bile, how is p ossible to think of You? The revered saints speak of various karmas as the means to salvation. These karmas leads to upasana of various Devas without realizing that the devas antaryami is also Srimannarayana. They are like lumber cut and floated on the Ganges to be carried downstream from the hills to the plains . The logs group and regroup during this travel . Some may get destroyed. Some may get stuck . Some logs may go to the wrong owner. Only a few reach their correct destination. The revered Aazhvars explain the correct way to salvation is surrendering or performing saranagati ( Prapatti) to Lord Srimannarayana. There is no necessity to go to any other Devas for attaining salvation . Previous postLord Narasingha and the hunter…………………………… MAATHA NARASIMHA PITHA NARASIMHA BRATHA NARASIMHA SAKHA NARASIMHA VIDYAA NARASIMHA DRAVINAM NARASIMHA SWAMI NARASIMHA SAKALAM NARASIMHA….. Thank you for giving the opportunity to read this excellent post again! Beautiful! No matter the tests and tribulations surrender to Lord Narayana is the only way and it will show us the way! Thank you very much Swamin, for the simple and lucid explanation! Very nice explanation.easy to comprehend and instills faith in one supreme.thks to acharyas blessgs . beautiful! no matter the tests and tribulations surrender to Lord Narayana is the only way and it will show us the way! thank you for your continuous efforts and always looking forward to your next post!